PDP has not adopted any political party ―BOT Chairman – Royal Times of Nigeria. 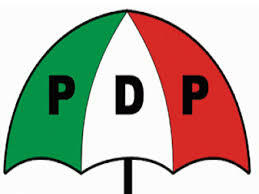 THE Peoples Democratic Party (PDP) has denied adopting a new registered political party to use as a fall back ahead 2019. Chairman of the PDP Board of Trustees (BOT) Senator Walid Jibrin refuted the claim in a statement in Kaduna on Tuesday.He said the PDP has not formed any alternative party for the purpose of the 2019 elections. “I want to make it very clear that PDP has never formed any alternative party. If it has to agree on something like that all organs and forums of the party Viz BoT, National caucus, PDP Governors forum, National Assembly caucus , States PDP chairmen forum, Former Ministers Forum, Former Governors Forum, various youth forums, elders forum nationwide, women’s forums etc will be fully consulted before such a very sensitive decision is taken. The statement noted that for now the PDP is assuring its teeming supporters that PDP accepts the judicial processes going on at the Supreme Court and is confident that the Supreme Court shall freely and independently take fair decision which will be historic in Nigeria’s democracy. “I want to appeal to all PDP members that we remain resolute United and absolutely loyal to the party and remain committed to following all legal process in order to redeem the image of our party as anything not built on truth will fail and falsehood will crush . “ Any child that does not allow his mother to sleep he too will never sleep I want to further assure our members and supporters that we shall keep them informed of any development before any action is taken,” he said. The BOT chairman also congratulated PDP governors who won all seats in the recent various elections in their states.